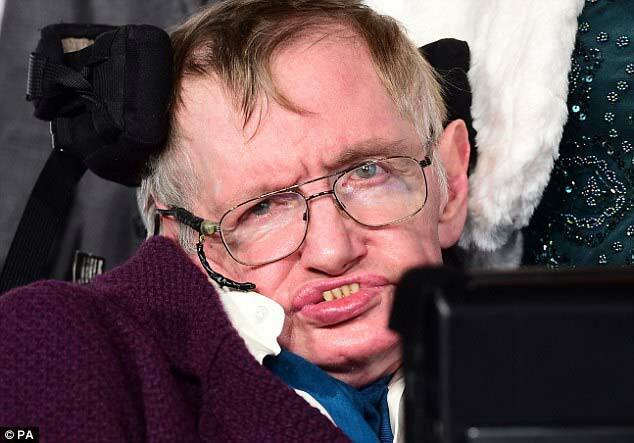 Scooper - Education News: Stephen Hawking WARNING : we have just 200 years to escape Earth !! Stephen Hawking WARNING : we have just 200 years to escape Earth !! Stephen Hawking warns humanity has just 200 years to escape Earth and says Donald Trump has taken 'the most serious, and wrong, decision on climate change this world has seen'. 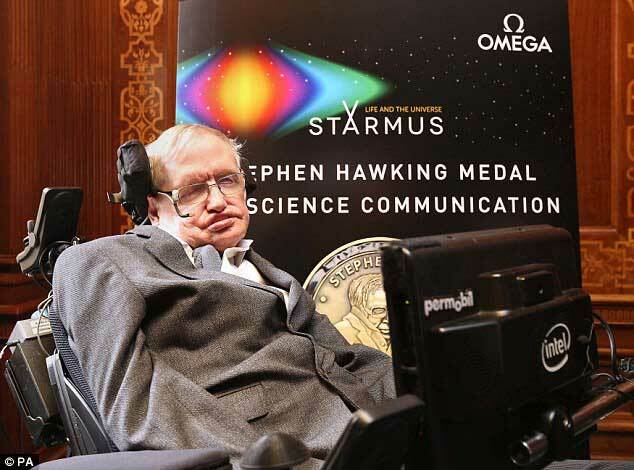 The physicist repeated his warning that the human race is doomed at the Starmus Festival celebrating science and the arts, which is being held in Trondheim, Norway. He also slammed US President Donald Trump, saying 'I am not denying the importance of fighting climate change and global warming, unlike Donald Trump, who may just have taken the most serious, and wrong, decision on climate change this world has seen,' he said. Hawking called for leading nations to send astronauts to the Moon by 2020 in a bid to re-ignite space exploration. They should also aim to build a lunar base in 30 years' time and send people to Mars by 2025, he said, according to the BBC. 'Spreading out into space will completely change the future of humanity,' he said. 'I hope it would unite competitive nations in a single goal, to face the common challenge for us all. 'A new and ambitious space programme would excite (young people), and stimulate interest in other areas, such as astrophysics and cosmology'. He revealed his hope nuclear fusion-powered ships propelled by light or another energy form will guide us to our new home. 'The Earth is under threat from so many areas that it is difficult for me to be positive,' he admitted. 'The threats are too big and too numerous. 'Our physical resources are being drained, at an alarming rate. We have given our planet the disastrous gift of climate change. 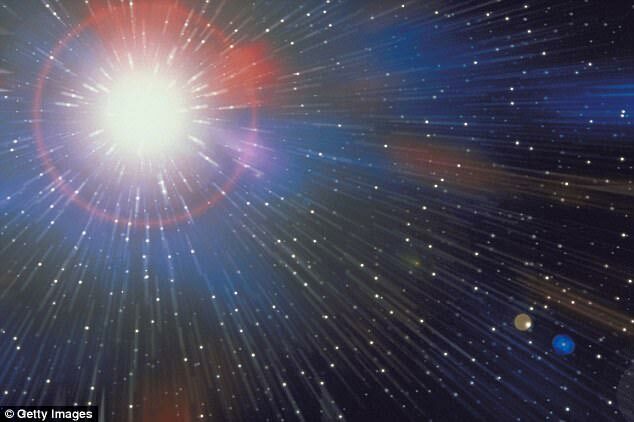 Professor Hawking is working with Russian billionaire Yuri Milner's Breakthrough Starshot project to send a fleet of tiny 'nanocraft' carrying light sails on a four light-year journey to Alpha Centauri, the nearest star system to Earth. He said doing nothing and acting as 'cosmic sloths' was not an option. 'When we have reached similar crises in our history, there has usually been somewhere else to colonise. Columbus did it in 1492 when he discovered the New World. But now there is no new world. No Utopia around the corner. 'We are running out of space and the only places to go to are other worlds. 'It is time to explore other solar systems. 'Even if only 1% of these have Earth-sized planets, we have 10 candidate New Worlds,' said the professor. He also revealed why he believes we have not yet heard from ET in space . 'First, it may be that the probability of primitive life appearing on a suitable planet is very low. 'Second, even if the probability of primitive life is reasonably high, the probability of that life developing intelligence like ours may be very low. 'And third, it could be that alien life develops into a fully functioning civilisation, but it then destroys itself with war, disease and weapons of mass destruction. Professor Hawking said he believed the human race was 'standing at the threshold of a new era'. He added: 'Human colonisation on other planets is no longer science fiction. It can be science fact. 'The human race has existed as a separate species for about two million years. Civilisation began about ten thousand years ago, and the rate of development has been steadily increasing. 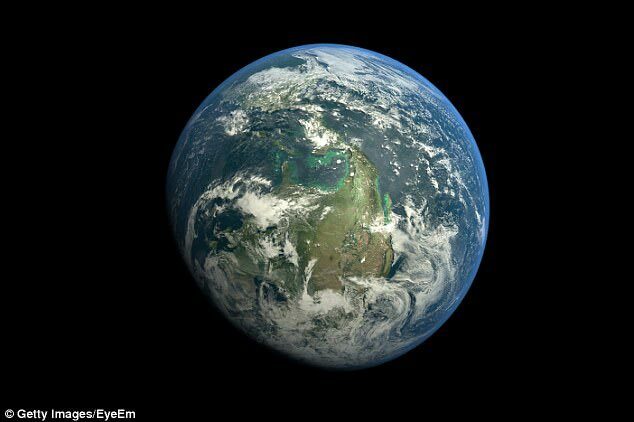 The renowned theoretical physicist has previously said he believes that life on Earth is at an ever-increasing risk of being wiped out by a disaster, such as asteroid strikes, epidemics, over-population and climate change. The season will also try to find Britain's best invention, by asking the public to vote on the innovation which has been the most influential in their lives. He warned that humans could not survive another 1,000 years on 'fragile' Earth.. He said: 'Perhaps one day we will be able to use gravitational waves to look back into the heart of the Big Bang. Making a poignant plea to his young audience of students from the University of Oxford, where he himself did his undergraduate degree, he said: 'Remember to look up to the stars and not down at your feet. 'Try to make sense of what you see and wonder about what makes the universe exist. He explained in his talk, titled 'The Origin of the Universe', how he was currently working to prove how the origin of the universe did obey the laws of physics as was understood what modern physicists called M-theory. The conglomerate of theories incorporated Einstein's General Relativity which combined space and time to allowed him to predict the existence of a black hole - an area of space where gravity is so strong not even light can escape it - and Quantum Theory, which predicted the physics of subatomic particles that were being tested in the Large Hadron Collider in Geneva. 'It is the only unified theories that has all the properties that we think the final theory ought to have,' said the professor. Hawking said he and fellow scientist James Hartle believed that the Big Bang and start of time could be thought of as the South Pole on the globe, where latitudinal lines were akin to an expanding universe, but with every point, including the South Pole, obeying the same laws of nature.